Scroll down for Bank of Texas Locations in Dallas and Houston. 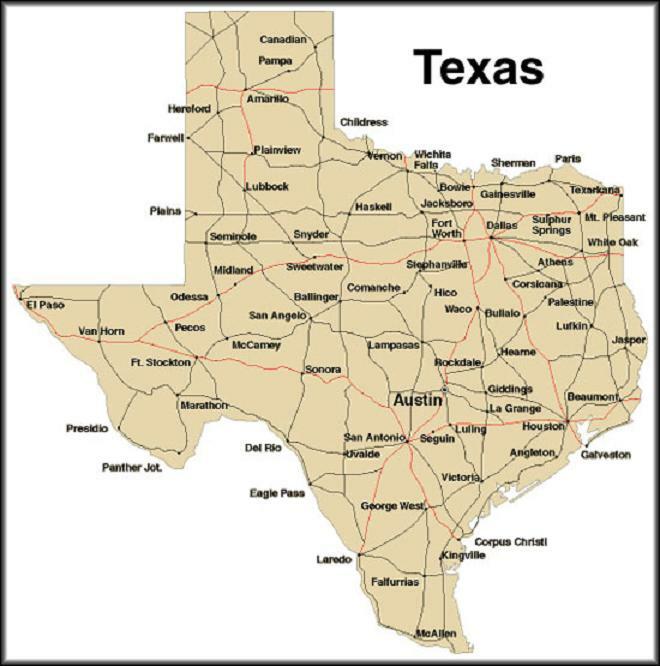 Shown above is a map of Texas. See the related links at the bottom of this page for another Texas state map, photos of Texas, and more. For more about Texas, click any of the links shown below. See this page for another free printable Texas State Map, and more about Texas. Go here for a free, Printable U.S. Map. Hit this link for more Free Printable Maps. Visit this page to view Fact and Photo Galleries for Texas and All 50 States. Look here for Low-Cost Car Insurance in Texas and other U.S. states, plus Washington DC. Go here to see a complete list of Universities and PhD Programs in Texas and All 50 States. Hit this link to learn How to Work From Home in Texas, or anywhere else in America.